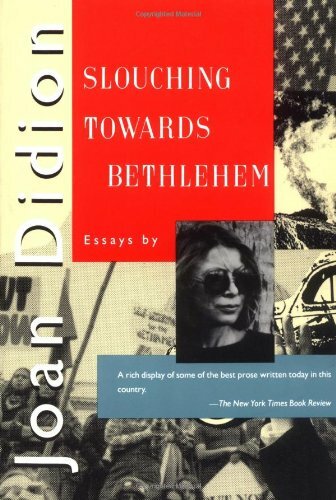 The final piece in one of her two most beloved collections, Slouching Towards Bethlehem, this essay contains everything there is to love about Didion — her sharp eye, her unbelievable concision, her expression of emotions that are real and contradictory. It follows her arrival in New York and her departure eight years later, and in so doing discusses the city and youth — and the romantic lies that both are. She writes: "... I was in love with New York. I do not mean 'love' in any colloquial way, I mean that I was in love with the city, the way you love the first person who ever touches you and never love anyone quite that way again." Sullivan has become one of the most talked about magazine writers of the last few years. This piece, which you can read online at the Paris Review, and was collected in his highly recommended book, Pulphead, is one of his best. It discusses, with such grace, being mentored in his twenties by once-famous Southern Renaissance writer Andrew Lytle. It's a meditation on art and futility, the Old South, and the sheer strangeness that can be relationships between men. 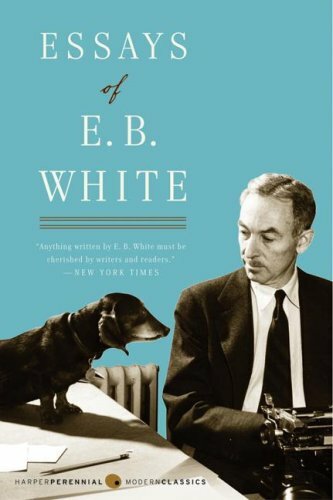 Recognized for his children's literature (including Stuart Little and Charlotte's Web) and popularizing Strunk's The Elements of Style, White was also an accomplished essayist. "Once More to the Lake" follows White and his son to Maine, where they spend a week along the same lake White visited with his father as a boy. It is one of the most moving reflections upon fatherhood, summertime, America, and mortality ever crafted. You can find it in many anthologies and in The Collected Essays of E.B. White. Those who knock Wallace for his verbosity — or associate him merely with a liberal use of footnotes — haven't read one of his classic essays through to the end. This one, which you can read online at Harper's or in his collection A Supposedly Fun Thing I'll Never Do Again, follows him home to Illinois, specifically to the state fair there. Laugh-out-loud hilarious and almost ridiculous in its level of detail, it explores the author's fractured identity, the Midwest versus the East Coast, and the American experience at large. Published in Esquire in 1975, this is the best-known essay by the late, great screenwriter and essayist. While she renders the experience of being flat-chested in the '50s with incredible humor and pathos, it is the essay's ending — the shock of it — that makes this unforgettable. 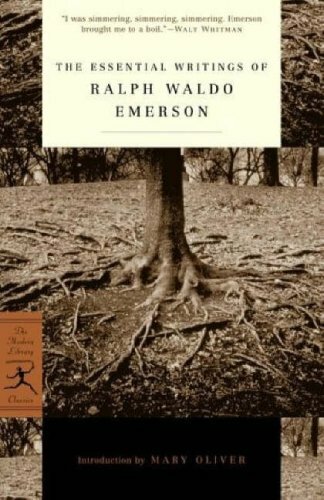 One of Emerson's most influential essays, you can read it online or in nearly every collection of his works. While his prose's formality may be a shock at first, what he says he says with great clarity and to the great empowerment of his reader. It is a declaration of the fact that true happiness, in oneself and all relationships, must spurn from self-love and honest expression: "I must be myself. I cannot break myself any longer for you, or you. If you can love me for what I am, we shall be the happier. If you cannot, I will still seek to deserve that you should." Though it's collected in his great and final collection of essays, Man Without a Country, you can read an adaptation online at Lapham's Quarterly. 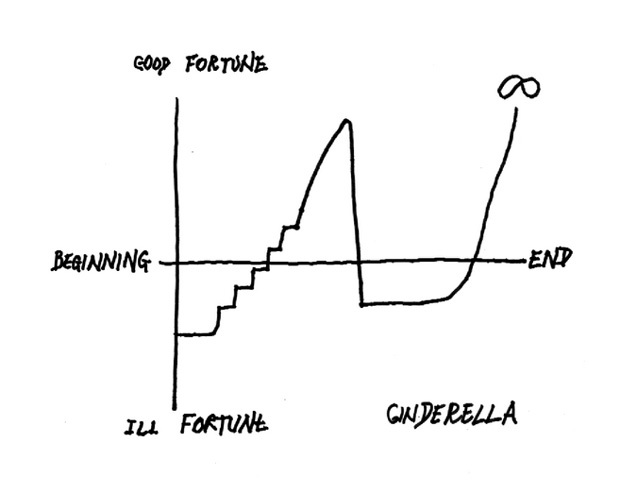 While it's a must-read for aspiring creative writers, it's about more than writing — much, much more — despite its brevity and characteristic Vonnegut wit. It opens with the best slam of the semicolon ever. 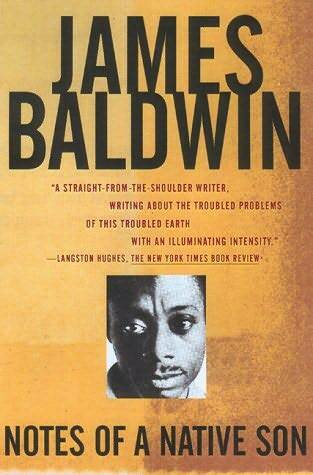 The titular essay from this collection — which honestly you should just read — is an ambitious and candid discussion of the passing of his father during a time of great racial turmoil. It opens: "On the twenty-ninth of July, in 1943, my father died. On the same day, a few hours later, his last child was born. Over a month before this, while all our energies were concentrated in waiting for these events, there had been, in Detroit, one of the bloodiest race riots of the century. A few hours after my father's funeral, while he lay in state in the undertaker's chapel, a race riot broke out in Harlem. In the morning of the third of August, we drove my father through the graveyard through a wilderness of smashed glass." David Rakoff died a little over a year ago at the too-early age of 47. Just a few months prior, he read this essay about his cancer, his imminent death, and dancing, aloud as part of This American Life's live show. As always with Rakoff's work, it was funny, painful, and revealed the author's intense love of the English language. Warning: When you watch this video, you will laugh audibly, several times, and you might cry. The briefest — and perhaps densest — essay on this list, "The Death of the Moth," on its face, is about exactly that: Woolf notices a moth caught in her window and witnesses its death. Read it online and then read it again, and again. This much-anthologized meditation follows Dillard and her husband as they drive to a mountaintop in Washington to witness a total eclipse — that rare event when the sun becomes entirely obscured, turning day briefly into night. 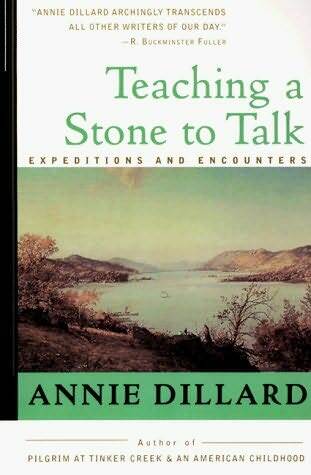 Dillard's rendering of this experience showcases her enviable abilities to both observe and describe. It's collected in Teaching a Stone to Talk. Well-known nature writer Barry Lopez shocked many when he published this essay in January, in which he confessed being raped throughout his adolescence by his mother's sometime boyfriend. It is an affecting and horrifying portrait of what it is to be a victim of sexual abuse. Unfortunately you do have to be a Harper's subscriber to read it (for now). Prior to penning 1984 and Animal Farm, Orwell was posted as a policeman in Burma, where he once had to shoot a rampaging elephant. 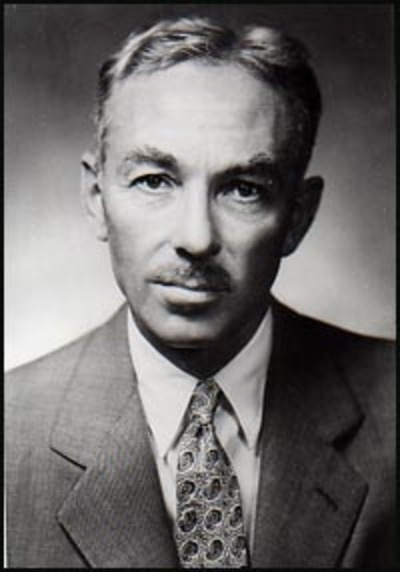 The resultant essay, published in 1936, is a condemnation of imperialism — and his own selfish desire to not be implicated by it. Read it online or find it in the collection of the same title. Yes, Wallace deserves two on this list. Also collected in A Supposedly Fun Thing I'll Never Do Again and originally published in Harper's, this is another travelogue turned existential rumination that shows unabashedly and hilariously the horrors of society (this time via a cruise ship) and really says more about the author himself. Saunders is more famous for his fiction (like many of the folks on this list) but that doesn't mean his essays are not fantastic. 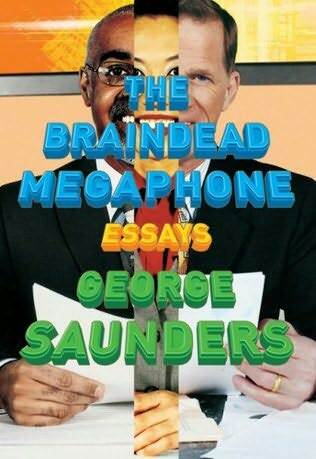 The first in the eponymous collection, "The Braindead Megaphone" takes on the current political and media climate in America that will make you shake your head in a I've-always-thought-that-but-never-really-put-it-that-way-myself way. Tisdale was a nurse at an abortion clinic when she published this essay in 1987. She writes honestly and movingly about something she knows few want to think let alone read about. "There is a numbing sameness lurking in this job," she says, "the same questions, the same answers, even the same trembling tone in the voices. The worst is the sameness of human failure, of inadequacy in the face of each day’s dull demands." Read it for free online. 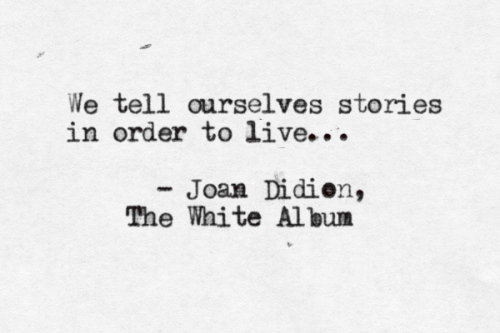 Of course Didion also gets two on this list. If you have not read this classic, do so now. It tracks our culture's — and the author's — transition out of the cataclysmic era that was the late '60s into something else much darker. It also contains an unforgettable image of Jim Morrison wearing black vinyl pants. Find it in the collection of the same name.